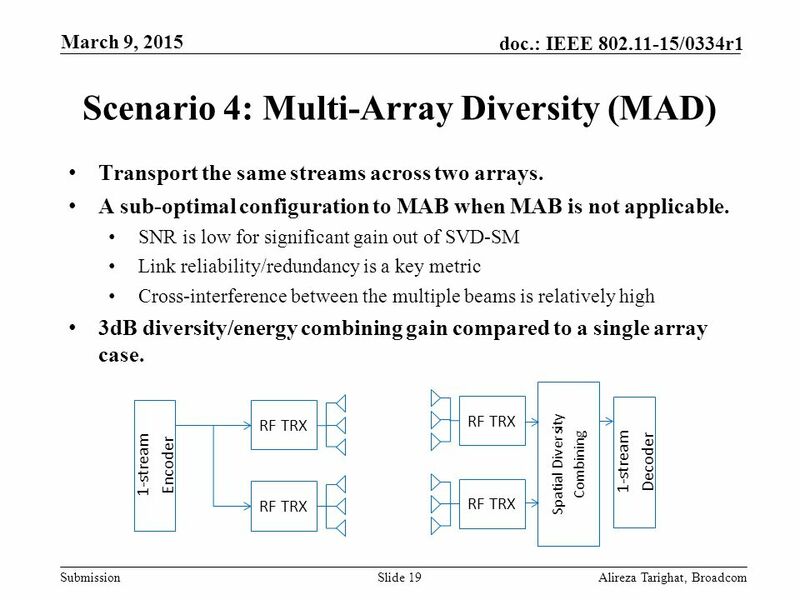 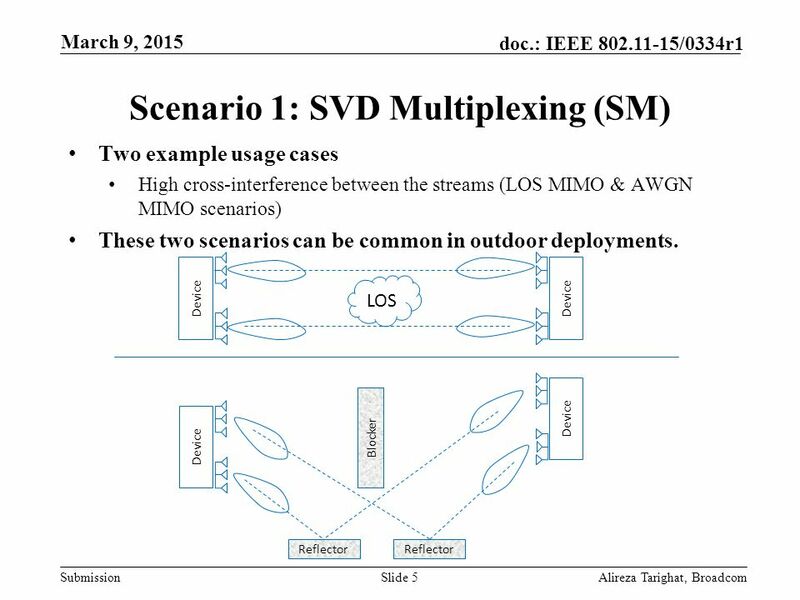 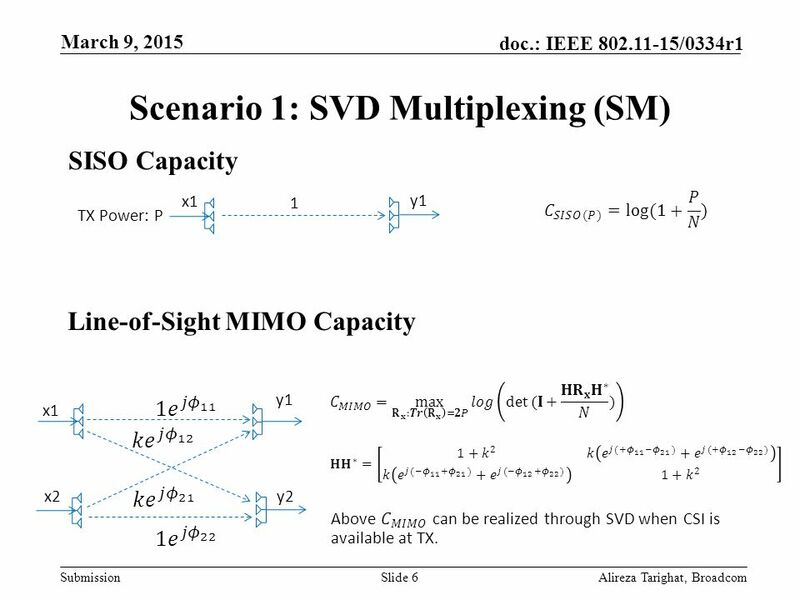 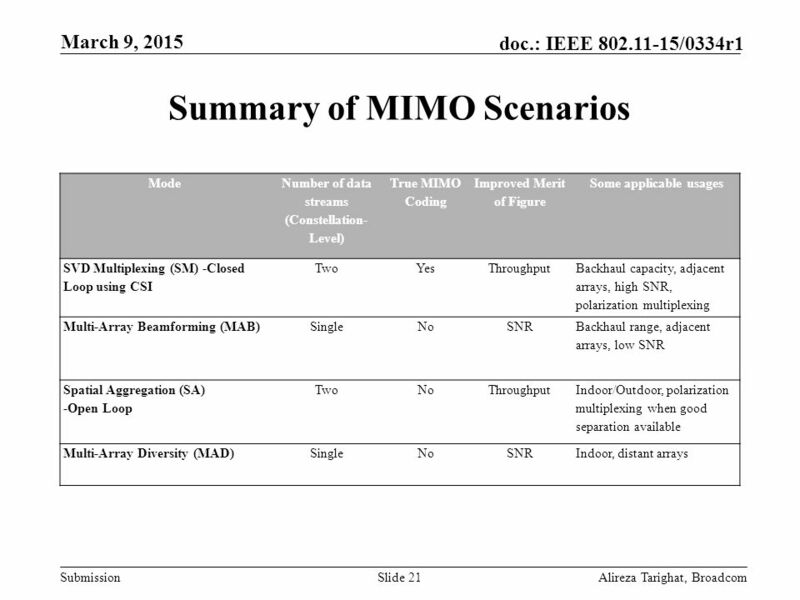 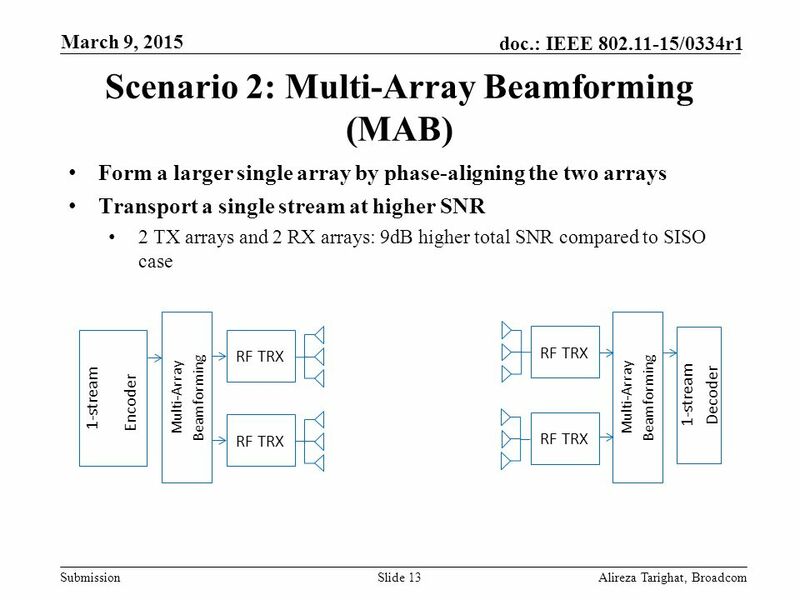 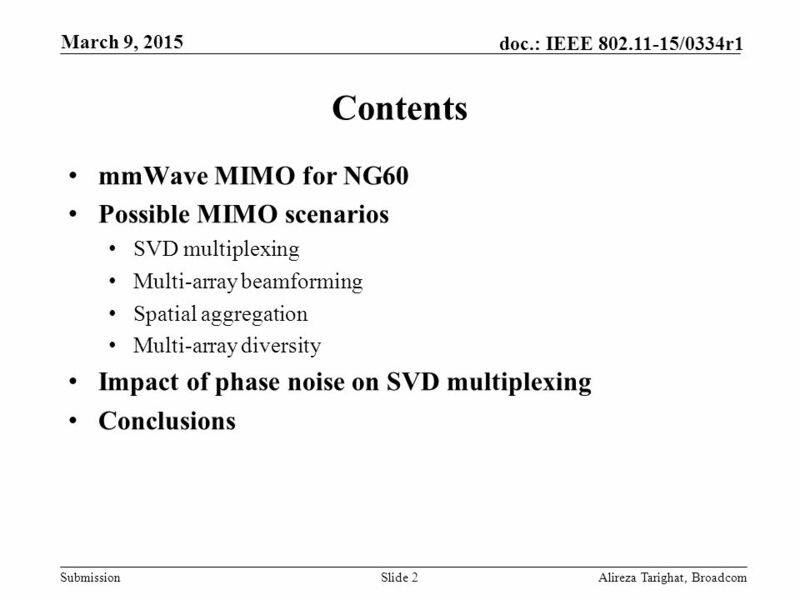 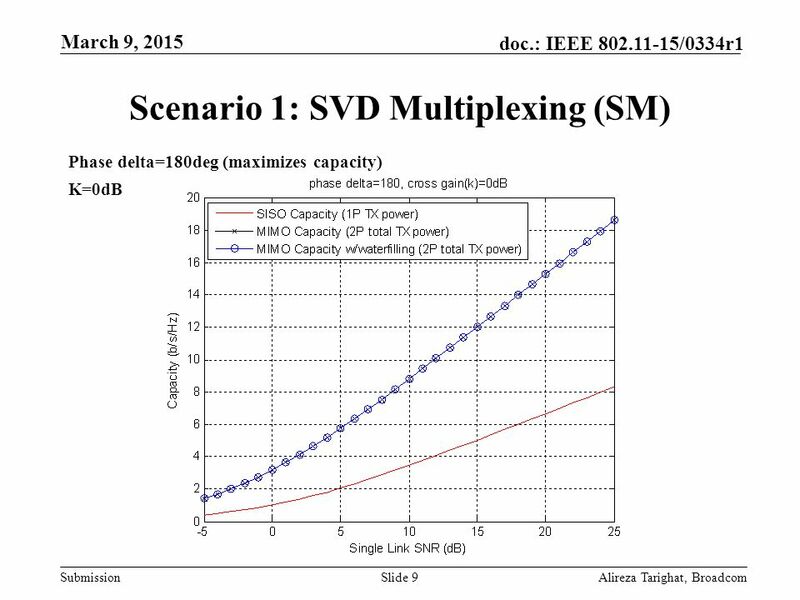 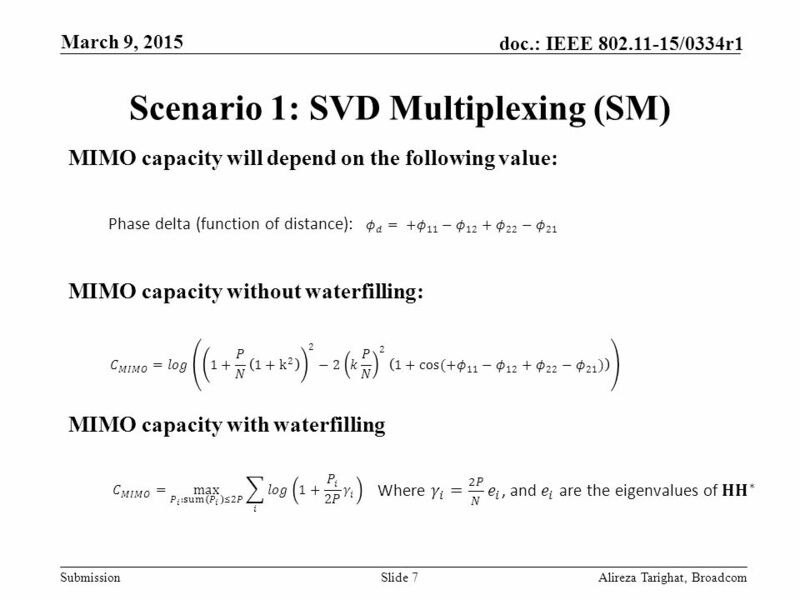 Download ppt "A Framework for MIMO Operation over mmWave Links"
EE359 – Lecture 16 Outline MIMO Beamforming MIMO Diversity/Multiplexing Tradeoffs MIMO Receiver Design Maximum-Likelihood, Decision Feedback, Sphere Decoder. 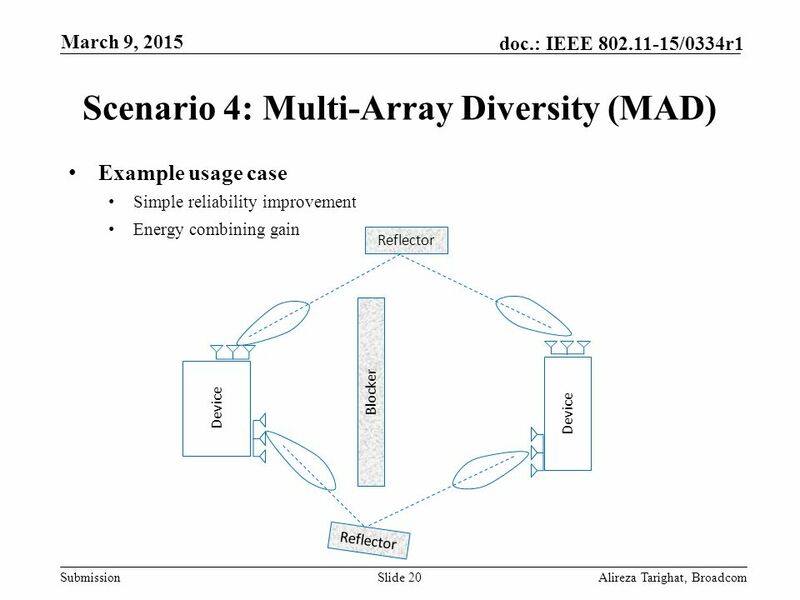 Submission doc. 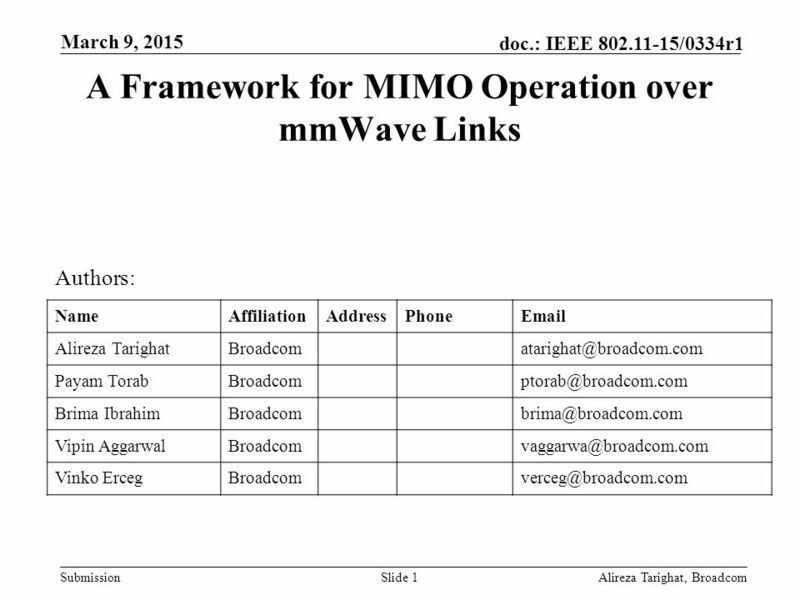 : IEEE /0335r2 Framework for NG60 Channel Bonding Alireza Tarighat, BroadcomSlide 1 Authors: NameAffiliationAddressPhone Alireza. 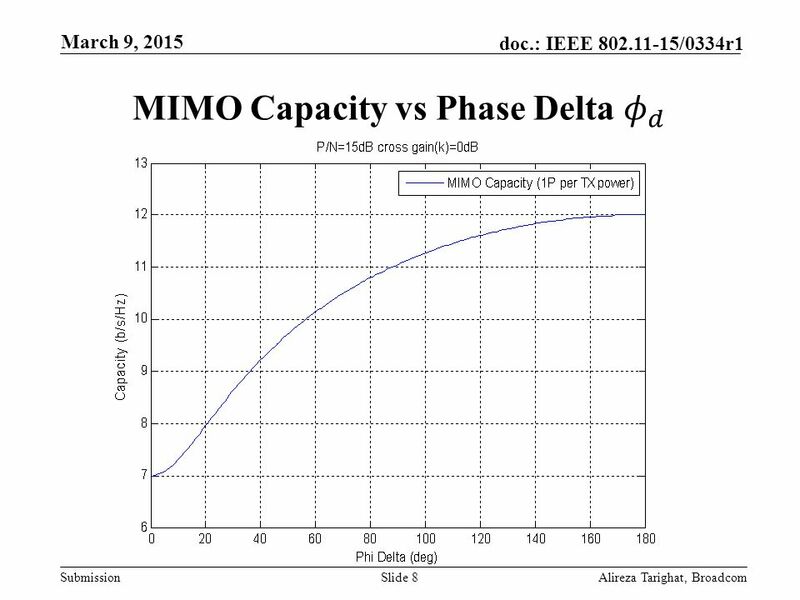 Doc. 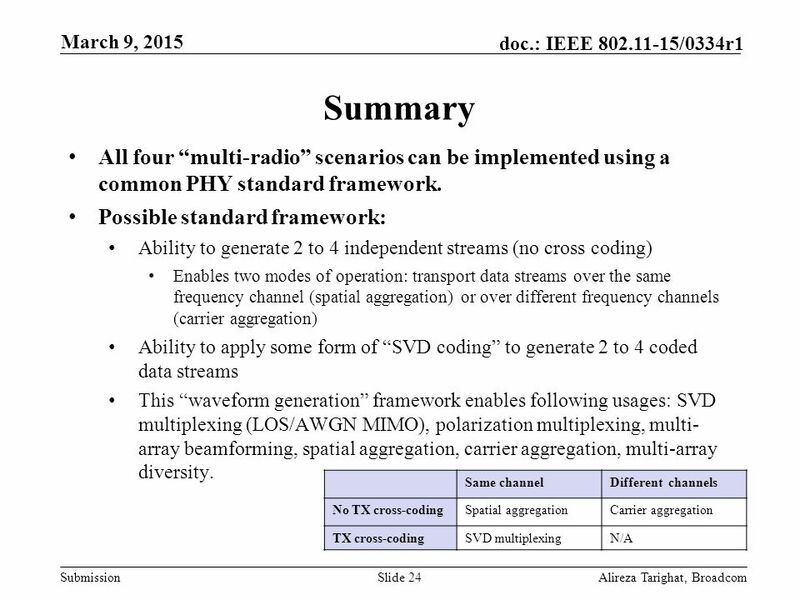 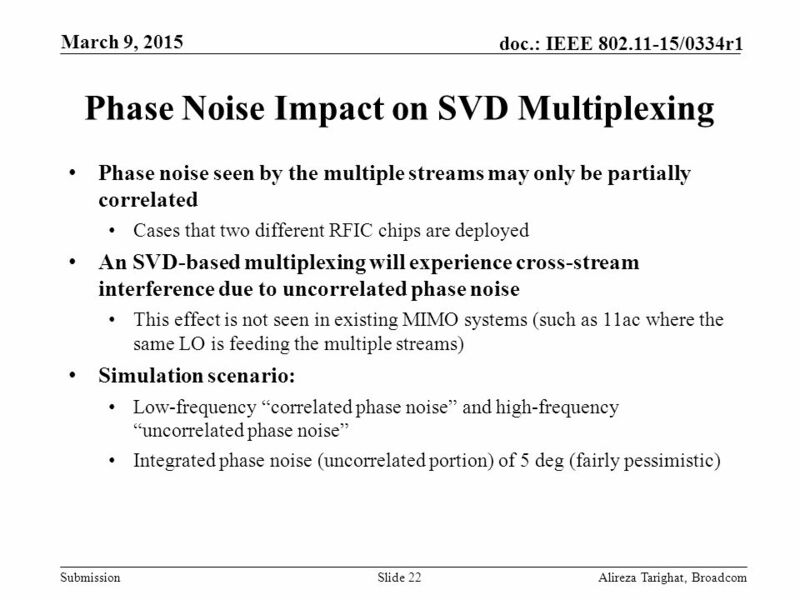 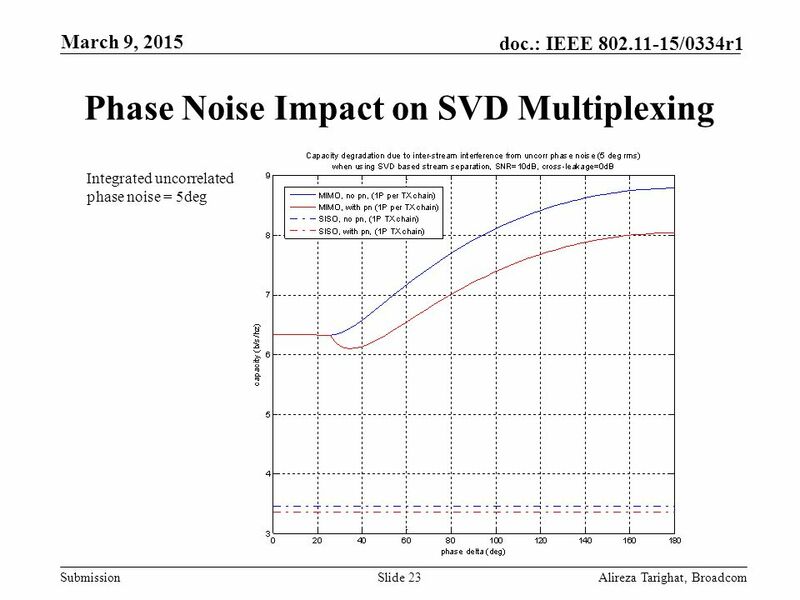 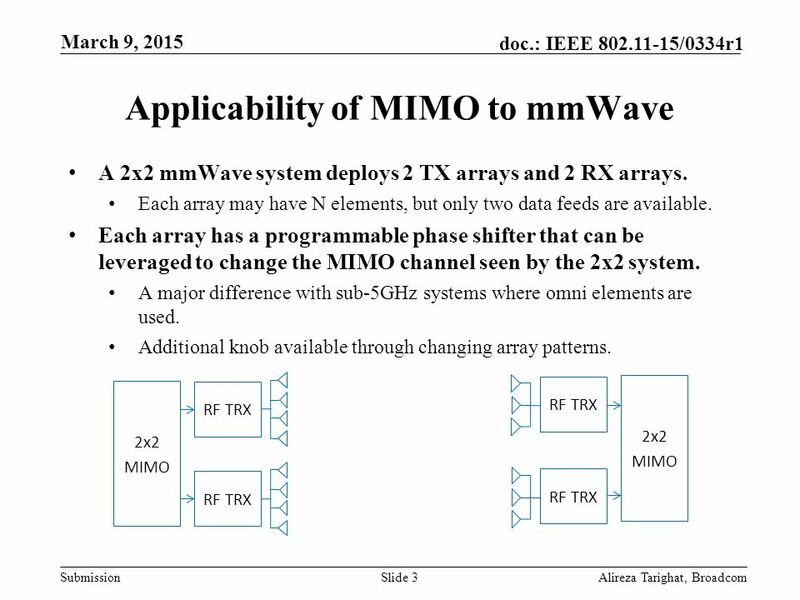 : IEEE /xxxx Submission Control PHY Design for 40-50GHz Millimeter Wave Communication Systems.pptx Authors: May 2015 Slide 1Jianhan Liu, et. 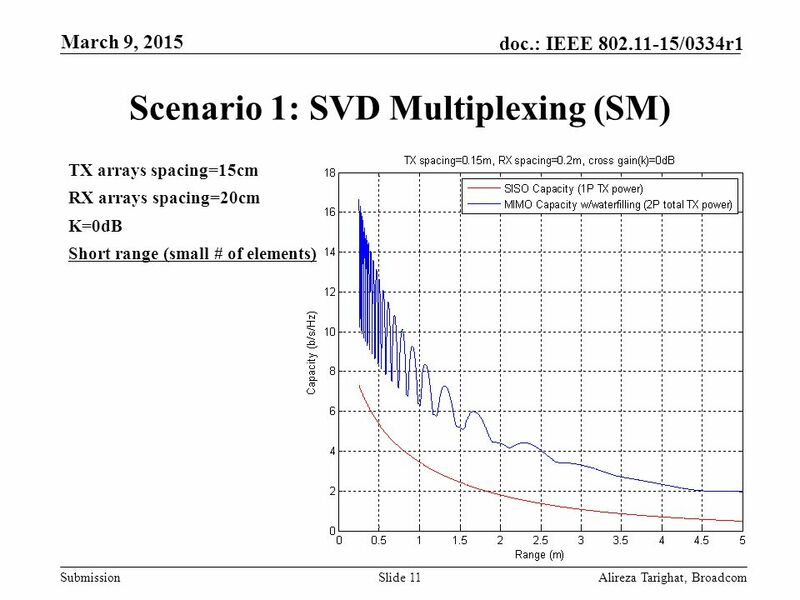 APPLICATION OF SPACE-TIME CODING TECHNIQUES IN THIRD GENERATION SYSTEMS - A. G. BURR ADAPTIVE SPACE-TIME SIGNAL PROCESSING AND CODING – A. G. BURR. 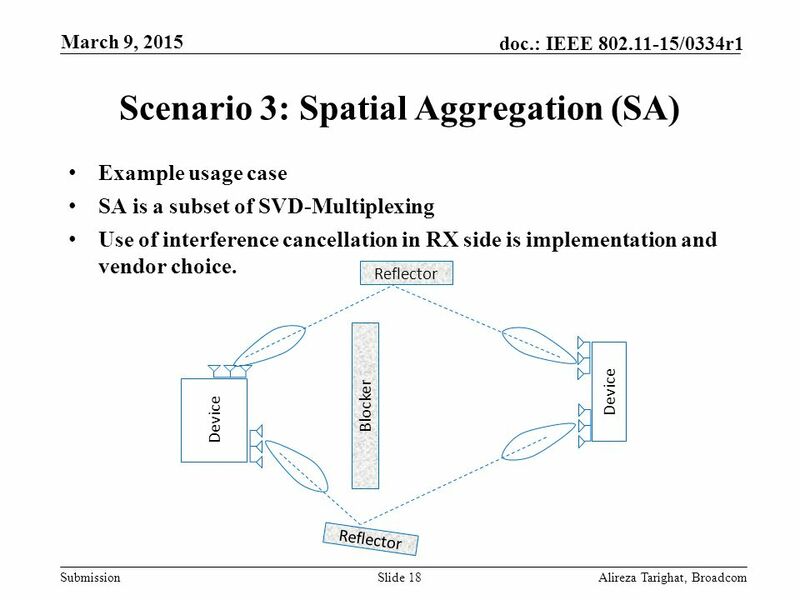 Submission doc. 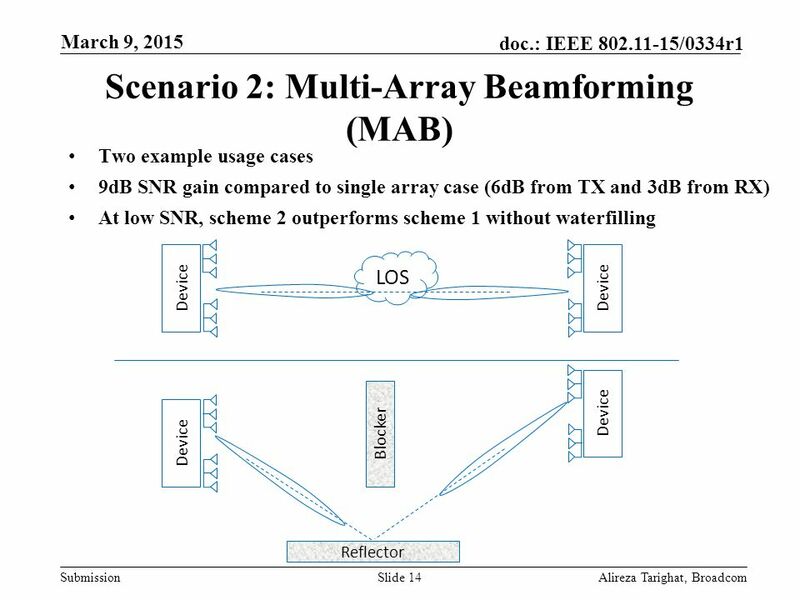 : IEEE /0335r1 Framework for NG60 Channel Bonding Alireza Tarighat, BroadcomSlide 1 Authors: NameAffiliationAddressPhone Alireza. 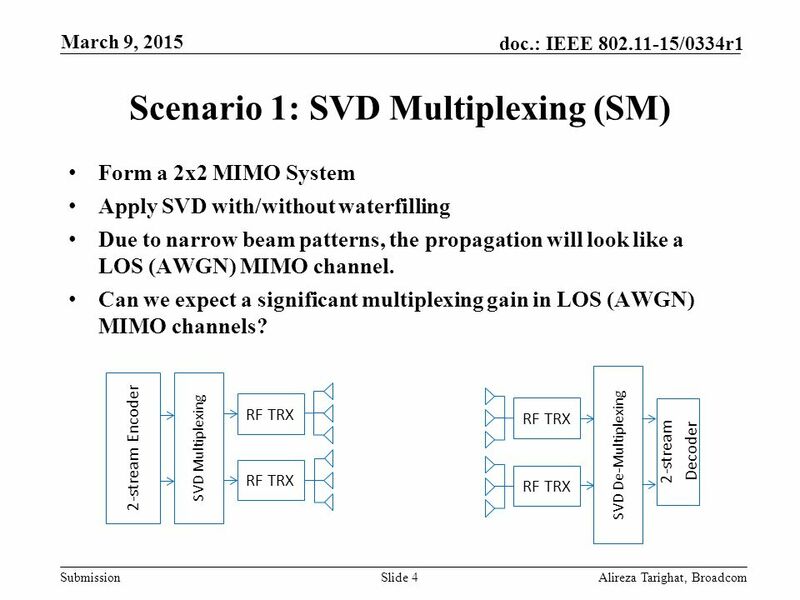 EE359 – Lecture 15 Outline Announcements: HW due Friday MIMO Channel Decomposition MIMO Channel Capacity MIMO Beamforming Diversity/Multiplexing Tradeoffs. 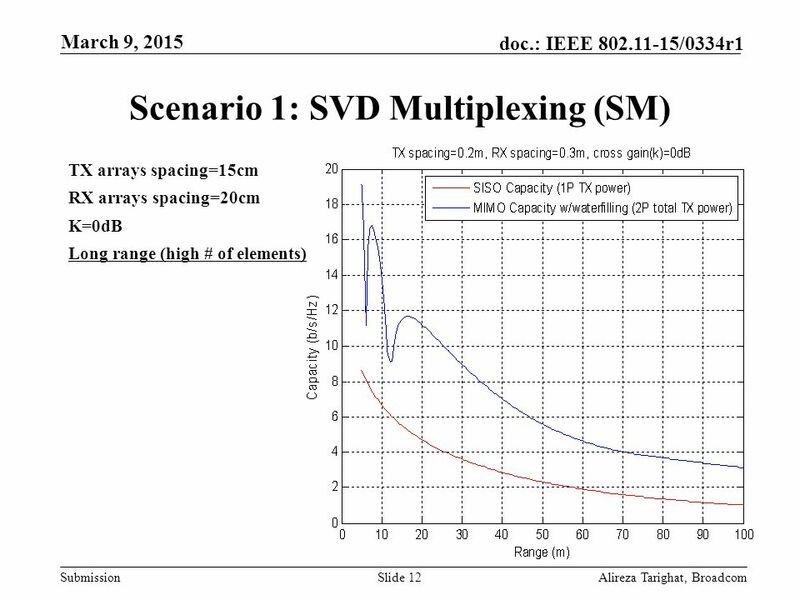 Doc. 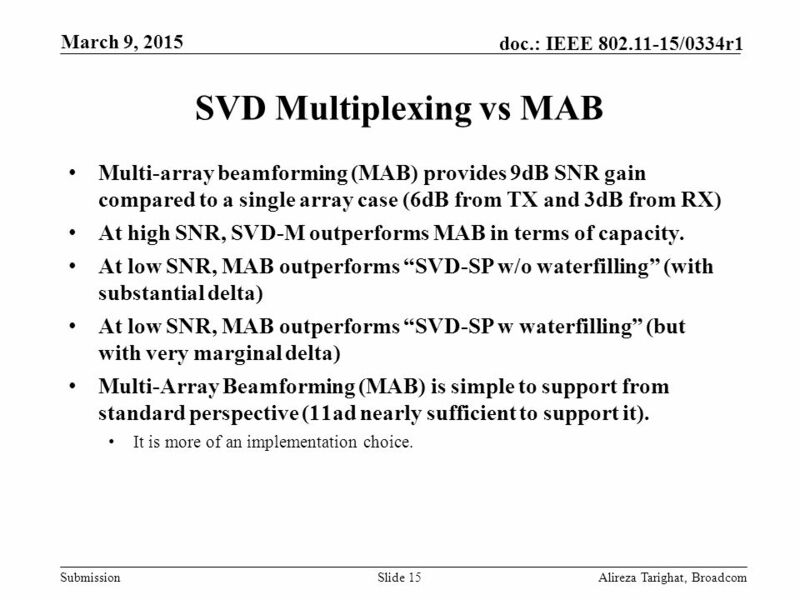 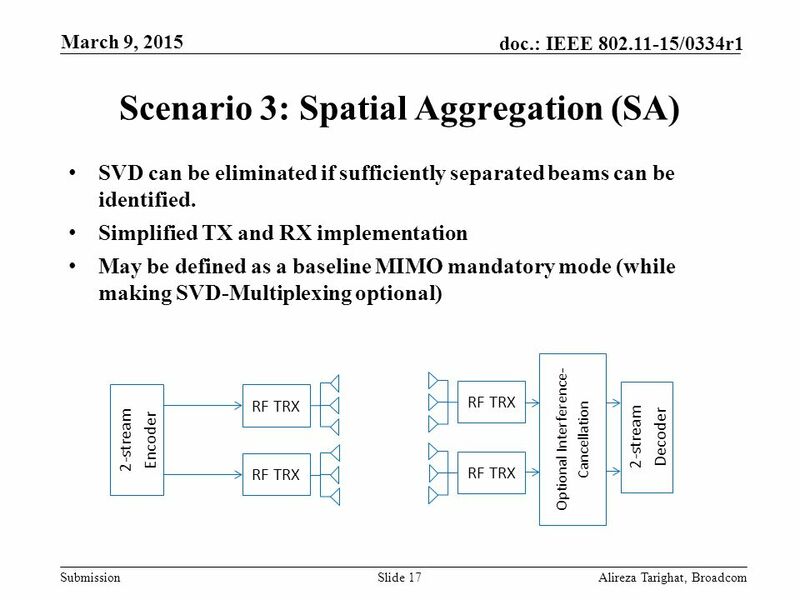 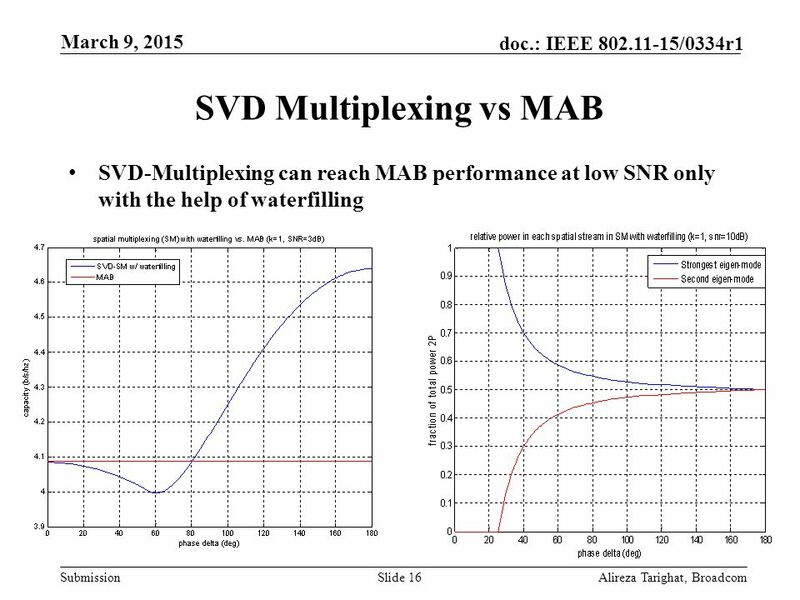 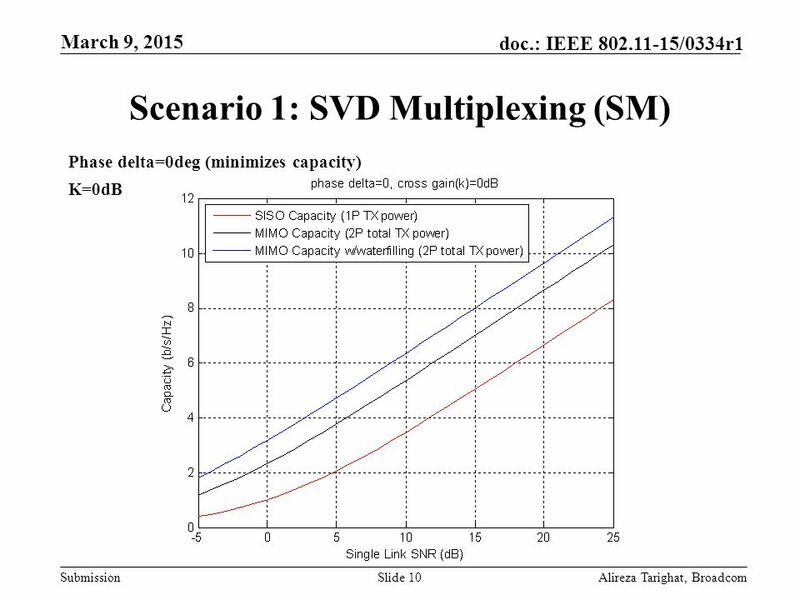 : IEEE 802.11-09/1229r1 Submission November 2009 Alexander Maltsev, IntelSlide 1 Application of 60 GHz Channel Models for Comparison of TGad Proposals.